Named for: "Tonsa" is the Stoney Indian word for the number four. 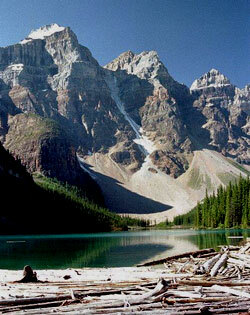 Tonsa is one of only three of the "Ten Peaks" that has not been renamed. An ice-filled gully known to mountaineers as the 3-3.5 couloir lies between Tonsa and Mount Bowlen. 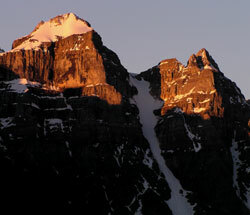 In the past it was used by climbers to access the Neil colgan Hut. After some accidents on this route it is not longer recommended.